I saw this monk in Shwedagon Temple in Yangon, Burma (Myanmar). He was busy with his tablet, engrossed and seemed so interested with that is in his tablet. I took a picture of him and before I could click he looked my way. Nice timing. I took this photo and smiled. He smiled back and then continued being busy with his tablet. 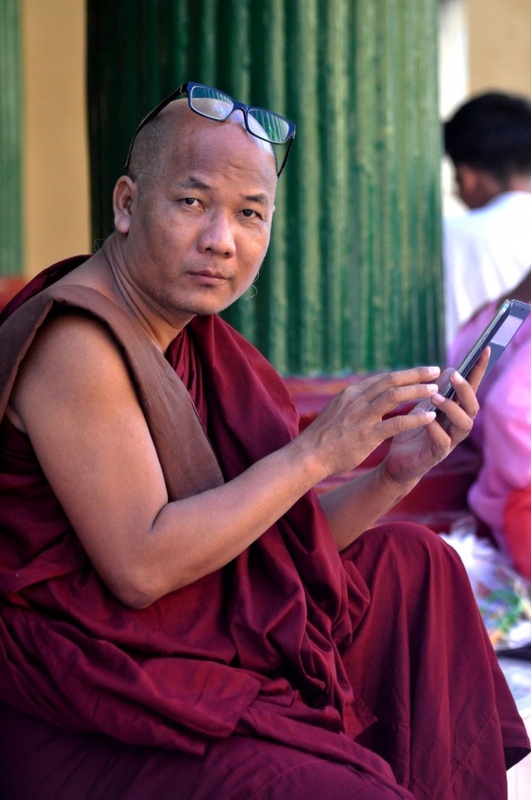 There are more monks fiddling with their gadgets around the temples of Shwedagon and everywhere in Burma. For a country that has been under junta for many years and closed to the world, it's interesting to see them embracing the modern times and technology. This is evidenced by phones and tablets. It's a small start but it's a start.